It is my pleasure to announce that our new website is up and running! The site hopes to be a good resource for the spanish truth community, and a portal for our group in Barcelona. Sections include "Datos" (facts), "Documentales" (documentaries), "Acciones" (our actions reports), "Noticias" (news), and some about our group/contact sections. 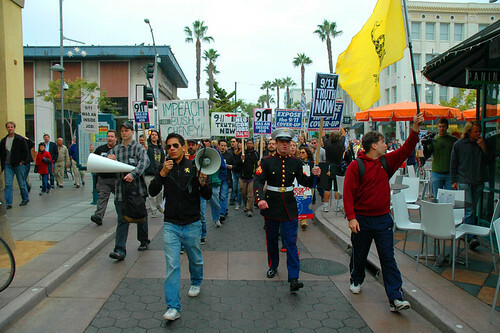 In the third of a series of broadcasts covering the Actions of November 11, Johnny Wave of Marines for 9/11 Truth reports on the Los Angeles march and talks about the highs and lows of his continuing truth activism, including grateful support from other members of the US military and being stalked by followers of Michelle Malkin. Cincinnati 9/11 Truth, Columbus 9/11 Truth, and a member of We Are Change Seattle posed some questions to 9/11 Commission chairman Lee Hamilton. One of our activists managed to get through to Jane Standley and asked her about her premature announcement on the collapse of Building 7. 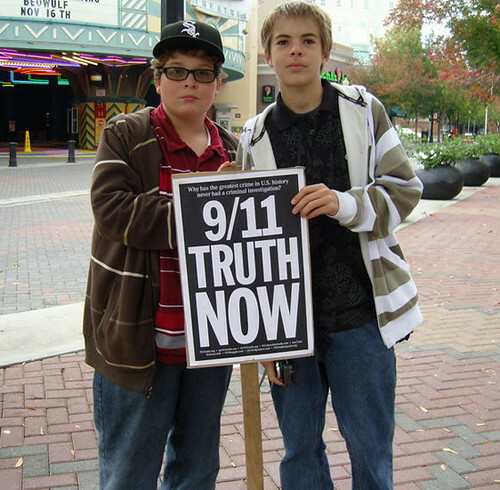 It's getting increasingly harder for the Mainstream Media to ignore 9/11 Truth. Family members Patty Casazza and Bob McIlvaine speaking at the Hartford conference. Friends, supporters, board members. Our friend Joe Zadroga has asked us for support on Monday at 1:00pm at City Hall. He has a meeting scheduled with Mayor Bloomberg. The mayor has insulted the Zadroga family and all 9/11 responders for way too long. I implore you all to spread the word of a peaceful rally to show the city, the mayor, the federal government, that James Zadroga was a hero, and there are thousands of NYPD, FDNY, EMT, EMS and construction workers just like him. Tell your friends post it on your web sites, and wear RED on MONDAY. 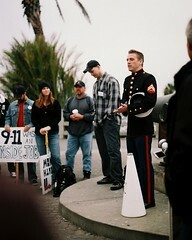 Lets show unity, compassion, and let City Hall know the HEROES OF 9/11 WILL NOT SIT IDLE ANYMORE.